Since a young age, I have been raised in an environment that has taught me self-control and self-dicipline. I was introduced to the world of athletics through various sports. This has allowed me to learn techniques for many varieties of training. I am an avid gym-goer and enjoy helping people succeed and hit their goals; whatever they may be. 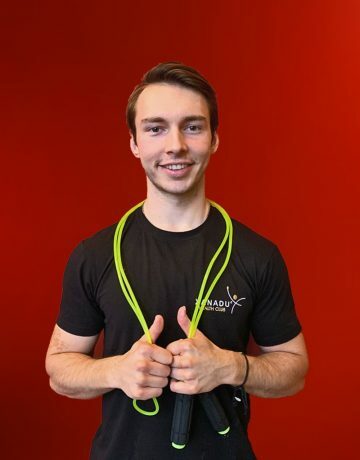 I have strived to help many family friends and peers of all ages reach their goals of weight loss, athletic achievements, and overall performance through constant support and various training techniques. The key is finding which training style best suits their needs. I’d love nothing more than to not only help you achieve your goals, but to help inspire you and teach you about the amazing world of fitness. Together I believe we can make a change.